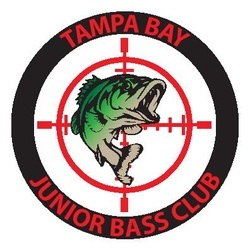 Tampa Bay Junior Bass Club is open for 11 - 18 year old youth who want to learn more about the art of bass fishing and compete with other youth members. Meetings are held the third Thursday of the month at 6:45 pm. This club is supported by adult bass clubs North Tampa Bass Club and Bay Area Bassmasters. We are always looking for boaters to take our youth fishing. Contact the Youth Advisor Joe Craighead, jcraighead@sstlift.com or at 813-446-8574 to volunteer as a boater.